A local animal shelter came up with a novel idea to draw attention to the annual population boom known as “kitten season” by holding a "Kitten Shower." Shelter officials say that shelters tend to be inundated with litters of kittens around this time of year — some so young, their eyes aren’t even open yet. Just like a baby shower, guests are welcome to bring presents. 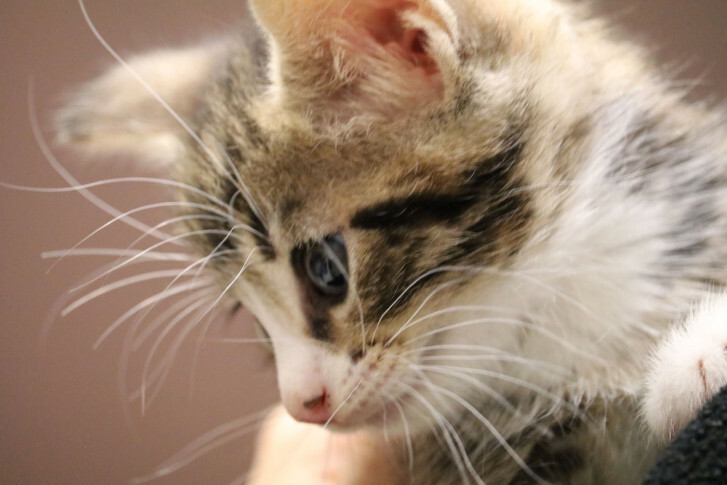 And at the Montgomery County Animal Services and Adoption Center in Derwood, they’re accepting gifts of fleece blankets, kitten bottle kits and all the supplies that are needed to take care of the tiniest kittens that are often brought to the center. Miranda Hitchcock, program administrator at MCASAC, explains that the event is a way to draw attention to the need for foster parents to help the kittens get off to a good start. “We can’t adopt out kittens until they’re a certain age because they have to be big enough to be spayed and neutered before being adopted,” she said. That’s where the foster parents come in. They care for and nurture the kittens until they reach the appropriate size to be safely spayed or neutered. But Hitchcock said fostering also allows for the kittens to explore their world in a setting where they can be socialized ahead of being adopted. Another reason for having kittens in foster homes in advance of finding a permanent home is that it safeguards them against communicable diseases. And by that time, they’re ready to be adopted. The Kitten Shower is taking place on Saturday from noon to 4 p.m. If you can’t make it to the shower, you can still help out by donating items needed to take care of the kittens.